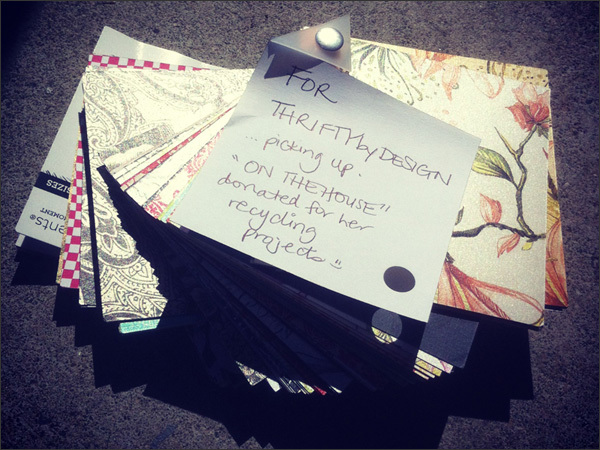 Thrifty By Design: Yay for productive weekends! What a weekend so far! I refinished three frames and my printers drawer. 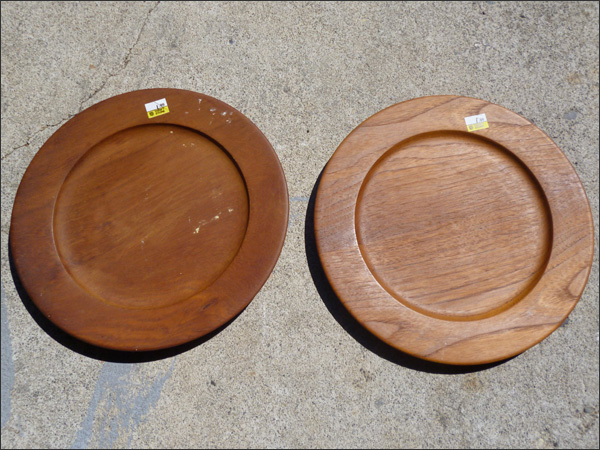 Oh I also ended up refinishing a couple of teak plates from the Salvation Army as well. Yes indeed - productive! Last night I hung all of the frames and then the printers drawer. 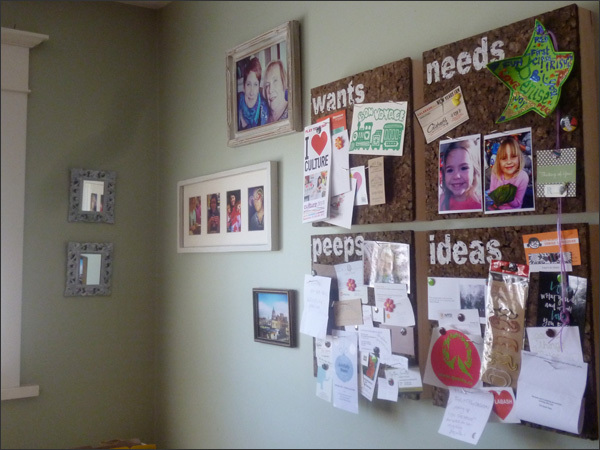 This corner now has a mirror above my couch and then the printers drawer. I love it! It took awhile to clean up the drawer. I used a pair of tweezers to remove the paper. Next step is adding stuff to the printers drawer. 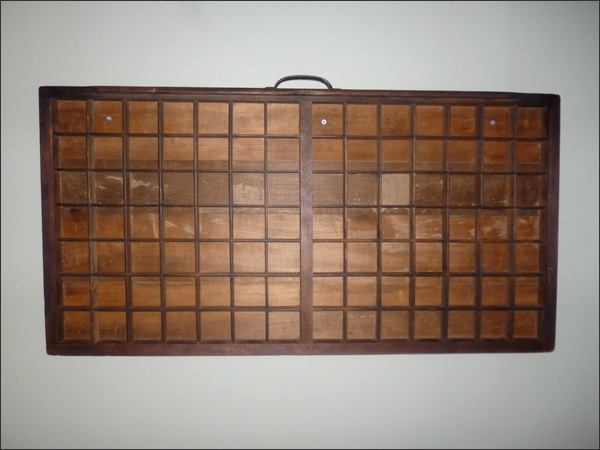 I want to make it a memory board for my travels. First I'll figure out how to add photos from my trek to Cuba. Mainly my shots from Havana. I want to keep the printers drawer as natural as possible in case I change my mind as to what to use it for. 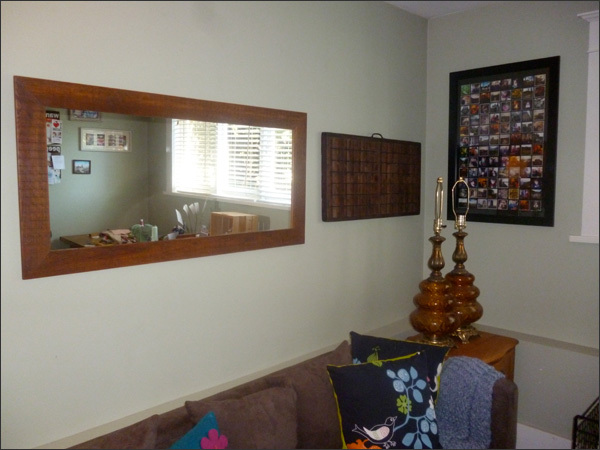 I also hung the two mirrors I updated. They look so much better now - the bronze/gold look was very dated and ugly. Before finishing up my projects yesterday, I dropped by the Salvation Army. I had a few things I wanted to donate. 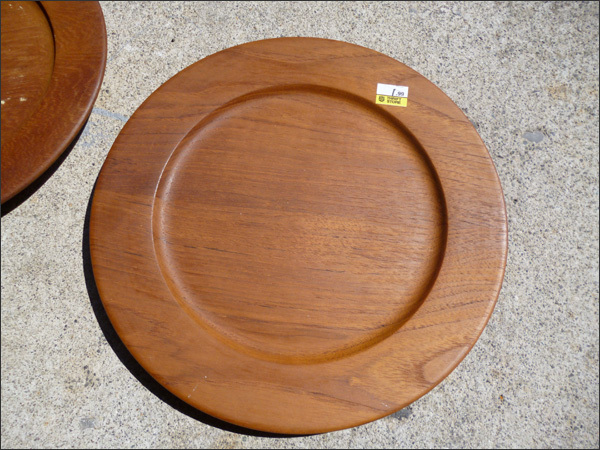 In the process, I found these teak plates for $1.99/each. 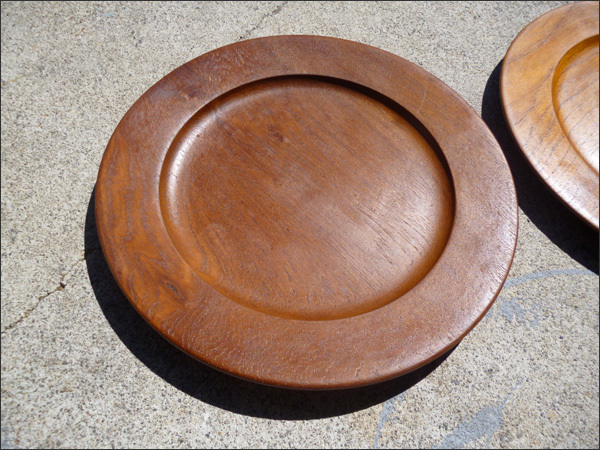 Not sure what I can use them for but I love my collection of teak! 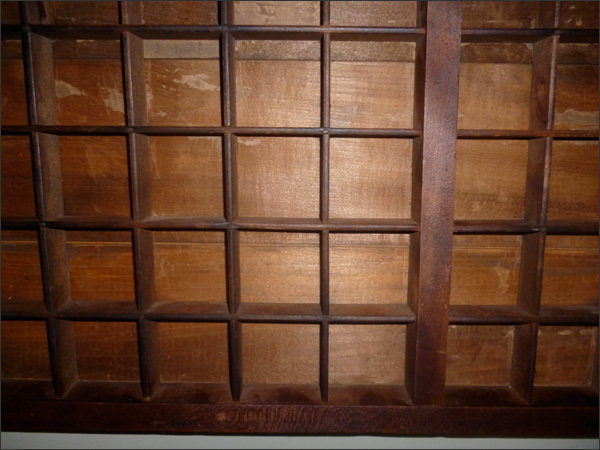 I sanded them then added tung oil. Easy peasy! Love them! 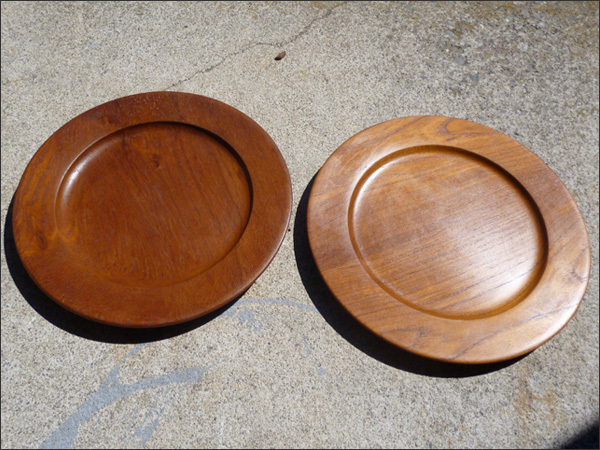 Teak is so darn beautiful! And so easy to refinish. I also dropped by Zing Paperie & Design yesterday to pick up the scrap paper donation. Tiffany at Zing is fabulous! 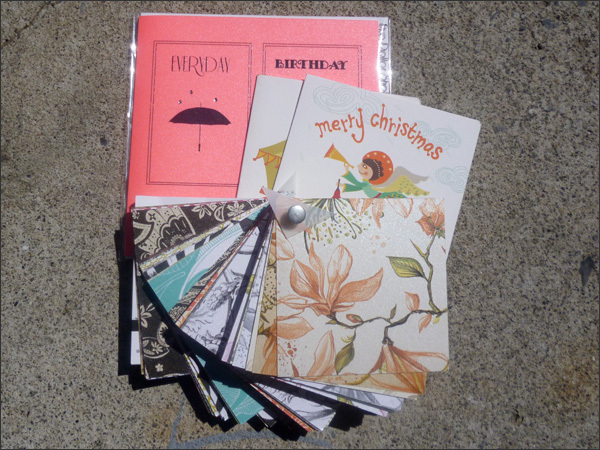 She gave me a few cards and then this paper sample set. There are some lovely designs. Hopefully these will come in handy! Next I need to get back into my cereal box projects... I want to make a purse next. Happy crafting!